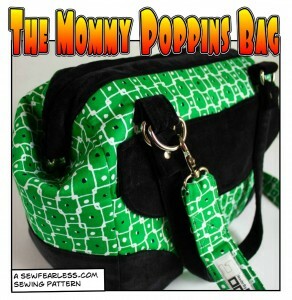 Remember how I said the Mommy Poppins Bag pattern can be modified to fit any size frame? Nerissa of NissaMade, a fellow bag-making enthusiast, volunteered to test out my resizing instructions. 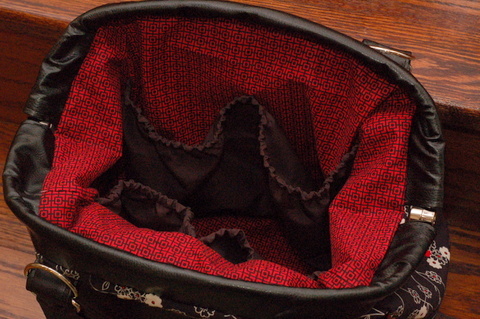 She used a 12″ frame (similar to the one I used in this bag) to make a “purse sized” version of the Mommy Poppins bag. Nissa has a real knack for fabric choices don’t you think? 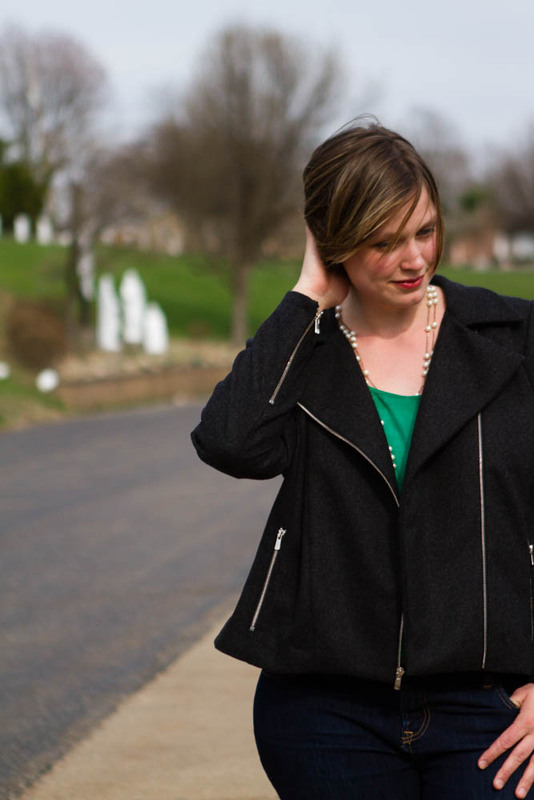 As a more experienced bag sewist, she chose use vinyl for the accent fabrics and it really kicked her bag up a notch. 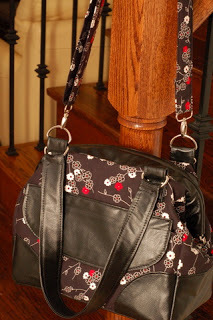 See more pictures of Nissa’s bag in her blog post. Buy the Mommy Poppins Bag pattern here. Don’t forget to enter the Mommy Poppins Bag Pattern & Hardware Kit Giveaway and take advantage of subscriber coupon codes this week only! Ooh, love the vinyl details… this bag looks really good purse-sized! LOVE this bag! So naturally I purchased the pattern. I have been reading over the instructions and in your original bag you put tabs in the center, I am assuming to open it? And I see now that there arent any in the new pattern. What was your reasoning for removing them? Im not familiar with these types of bags but thrilled to finally find a decent pattern! I cant wait till this weekend to dig into it. Thank you! I removed them because I never used them on the original bag. I thought I wild but I found that I didn’t. You could easily add them (just before sewing on the frame casing) if you like. I was wondering when it was shipped as it has been 2 weeks since the order was placed. Donna, I sent you an email message about this.